Have you ever felt like life it simply to hard and you aren’t strong enough? 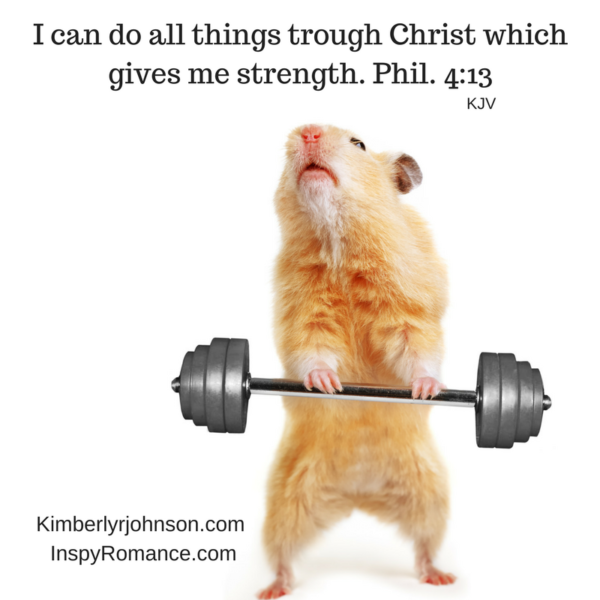 We are often as weak as the little fellow pictured above but with the Lord we are strong. In A Christmas Surprise Keira has a very real fear of driving in winter weather due to an accident that killed her husband. This fear is her greatest weakness, and she must learn to trust the Lord in order to conquer that fear. Below is an excerpt from A Christmas Surprise which is currently FREE on Amazon. Today is the final day to pick it up for free, however, it’s always free to read with Kindle Unlimited. Keira Noble peered out her apartment window at the first snow of the season, and a shiver ran through her. Snow set her on edge. Winter in the quaint Bavarian village of Leavenworth, Washington, always meant snow, but it was only the middle of October—much too early. Taking a sip of her morning coffee, she tucked her feet under her legs and snuggled deeper into the quilt. She closed her eyes, unwilling to gaze at the one thing that tortured her every winter. “How about oatmeal with blueberries?” She didn’t open the candy shop until ten on weekdays, and treasured this time with her son. “Eww. I don’t think so.” She gave him a squeeze and stood, setting him on the chaise. “Maybe after lunch you can pick out a few gummy worms from the bin.” She smiled to herself, imagining he’d be the most popular kid in school someday with his access to candy. She heard footsteps on the stairs that led to the alley. Right on time. Her best friend, Susan, had a way of showing up a couple of mornings a week for breakfast. She especially appreciated the visit today, considering the weather. Susan knew the fear snow brought on. Just the thought of driving now made her shudder. A rap on the door sounded and Keira flung the door open. “Morning.” She gave Susan a quick hug and stepped back. “The two of you set me up? Why don’t you go out with him?” It had to be an all-time low when her friends thought they needed to find her a man. “He’s not my type.” Susan grinned and batted her lashes. “Don’t try that on me, missy.” She’d date again when she was ready. “I’m not going.” Keira turned her back on Susan and measured out the oats. Her friend knew her well. Of course she would’ve canceled. Keira bit her lip. Maybe it wouldn’t hurt to meet the man. Besides, it would be rude to back out at the last minute, and she had always wanted to try the food at Visconti’s, one of the best Italian restaurants around. Considering how small the village was, it was crazy she’d never been there before. But there was one problem—Cody. Who would take care of her son and what would she tell him? Since her husband was killed four years ago in a car accident, she had gone out only once. Keira didn’t want him to get confused or attached to a man who wasn’t going to stick around. Ack! She was getting ahead of herself. It was only one date. An hour before closing Keira walked out of the back room and into the candy shop, the boxes in her arms partially blocking her view. Her chocolatier would be making a delivery soon and she needed to get these unpacked before her arrival. “Whoa.” Strong hands gripped her arms and kept her from colliding with the chest in front of her. “No harm done.” He flashed a smile. She pursed her lips. She really did need to get out more if Leavenworth had men like this. “Is there something I can help you find?” She set the boxes beside a display she’d been working on. “I’m not sure. They’re for my date, and I don’t know what she likes. Maybe this is a mistake.” He turned toward the door. He turned back and raised a brow. Have you ever had a fear that so impacted you that it affected your daily life? How did you overcome it? Hi Kimberly, this book sounds good, I look forward to reading it. Thankfully I have not/do not have a fear that impacts daily life. I think it would take a lot of prayer/work/effort to overcome. Hi Kimberly! I enjoyed your delightful inspiring romance A Christmas Surprise about preschoolers, puppies, a dateless veterinarian, a fearful mom and romance. 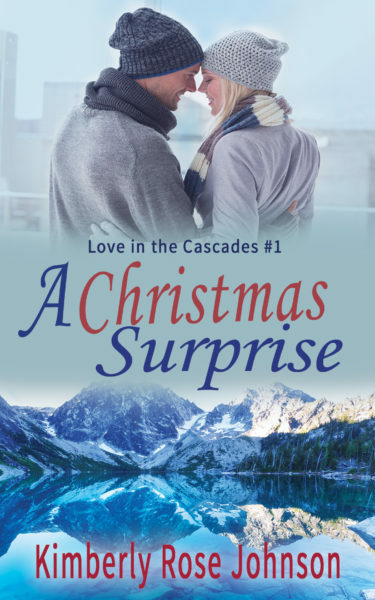 I was drawn to the story ‘s setting Leavenworth, Washington – a quaint Bavarian Christmas Village similar to Frankenmuth, Michigan. My husband had visited Leavenworth, while in Washington state on business. Thankfully I have no fear that impacts my daily life. Living in the Midwest near the shores of Lake Michigan we receive our share of blizzards. The first major snow storm per season has residents scrambling to hon their winter driving skills, so I can identify with Keira Noble. Thanks for sharing and Happy Weekend. Renate, I love how you remember the story so well! I’ve never been to Michigan, but if it’s anything if Frankenmuth is anything like Leavenworth, I know I’d enjoy it. Frankenmuth is a fun place to visit, but it doesn’t have the mountains around it like Leavenworth. I fear driving in big cities and heavily traveled interstate highways. So I’m sometimes limited in where I can go and do. My depth perception is horrible so it makes it hard to merge into traffic. Hi, Sherri G. I feel your pain. When I was a young adult living in the Seattle area, I didn’t enjoy that kind of driving, and I’m even worse now. I never drove over there. I depend a lot on my husband to take me places and sit there with my eyes closed. Your novels are wonderfully sweet and encouraging, with characters that I fall in love with and find myself cheering them on. Learning to trust and overcoming fear are things that are easy to relate to, making your novels so realistic. Loved this novel!!! I loved your book…..it was so fun and entertaining to read! Yes, I can relate to fear….am ok now, but it took me about a year to get over being robbed at work yrs. ago…tougher since it was at a Christian work place! As Wemble said….it took a lot of prayer/work/effort to overcome. Wow, Jackie. I’m sorry you had to go through that. I’m so thankful the Lord to help us move past trauma. Thanks for sharing the excerpt! I enjoyed reading it and am looking forward to reading the rest. I struggle every day with a fear and deal with it through prayer and sometimes talking with a trusted friend. Hi, Ellie. I hope you enjoy the book! Fear is one of those things it sometimes helps to talk about. I’m glad you have the Lord too! I read this novel a few weeks ago and loved it. Fear can really make a person miss out on some good things/opportunities. Best way to overcome it is to face it head-on. I listened to a sermon by Joyce Meyer and she stated FEAR means FALSE EVIDENCE APPEARING REAL. Struck a cord within me and opened my eyes. Thanks for reading it, Colleen! I’m happy you loved it. Hi Kimberly! I went to pick up a copy of your book and discovered I already have it :-) I’m glad Amazon let’s me know when that happens so I don’t duplicate my purchases. My husband and I visited Leavenworth WA for two of our wedding anniversaries years ago. The first time was for the Maifest (or Mayfest) and the next year it was just because we wanted to go back :-) One thing I really liked about it, all the shopkeepers and workers dressed up in traditional German outfits. That was awesome! I would love to go again someday. I love your quote, Trixi. Tell your problems how big your God is. Yes, I can’t tell you how many times Amazon has told me I already own a book. Lol The only time I’ve run into a problem with duplicating an order is when I pre-order a print book and forgot I did it. I did that recently. cover looks beautiful and catches my attention. I put it on my kindle. This sounded so good that I had to get myself a copy! ❤📖 Thank you! First of all thanks for picking up my book. Secondly, thank you for your thought provoking comment. I couldn’t agree more with everything you said.